"I DO not dream of becoming a dancer. I am a dancer and have always been a dancer. Dance is the ultimate reality, not a dream, of my life," said Mr Janak Khendry, who has been devoted to dance for more than forty five years. He has given more than a thousand performances in various parts of the world including five command performances for two past Presidents of India, Dr. Rajendra Prasad and Dr Radhakrishnan. He said, "I did not decide to learn dance, but dance decided to become the most important part of my life." He was born in Amritsar, Punjab, India. His formal dance training started when he was nine years old. For six years he studied Kathak dance style from Pandit Mahadev Kathak and for two years Manipuri dance style from Mrs. Aruna Gandhi. 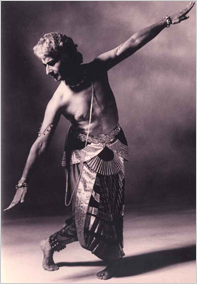 His Bharatanatyam dance training started in 1955 and is still going on. He has had the great honour of studying Bharatanatyam under the greatest Gurus of the 20th century - Swami Muttukumar Pillai, Mr. TK Narain, Mr. and Mrs. US Krishna Rao, Mrs. Kalanidhi Narayanan and Guru Kittapa Pillai. He also studied Modern Dance for two years at the Ohio State University. He excels at choreographing works based on very rare philosophical subjects that have never been tried as dance works, blending several different Indian classical dance styles and creating a new and powerful dance vocabulary. He said, "One needs the knowledge and the understanding of several dance styles and very strong powers of observation, to be able to create a dance vocabulary. The subject you are (cont. )choreographing, and the dancers who are performing, and their training play a vital role." His professional choreographic career started in 1961 when he was invited to choreograph a dance drama BASANT for Tagore's centenary celebrations. With the passage of time Khendry's works are becom?ing deeper in their philosophical approach. He said, "There are the several reasons why my works are becom?ing deeper. 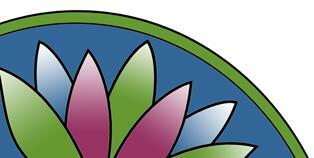 In my way of thinking there are two ways an artist can work - either horizontally or vertically. The horizontal process is that you keep on doing what you are good at and comfortable with. The vertical process is that you keep climbing the steps of creation – sometimes you fall down or miss a step - but you keep trying and keep climbing. I have chosen to climb the steps of creation vertically. Besides I do not like to create works based on the subjects that have been danced. At this point in my dance career I want to create works that have some universal mes?sage that I can convey to my audiences around the world through my dance creations. I also feel very strongly that we human beings have to reach out and touch each other and develop a better understanding for each other." 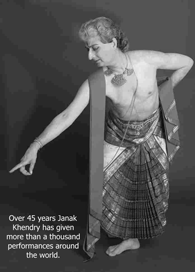 When Khendry is not creating, he is constantly choreographing the tradi?tional Bharatanatyam repertoire for the Janak Khendry Dance Company which has more than 125 woks in its active repertoire. He said, "My choreographic process starts with the selection of a rare philosophical theme that has never been danced before but has a universal message. After that comes the extensive process of research from one to four years or more, depending on the complexity of the subject. My choice of the music director is the next step. After the creation of the music, l listen to it for several weeks without creating a single step." His recent works have stressed the messages of non-violence, self-discipline, human-equality and peace. Khendry is recipient of several very prestigious grants and awards: Nizam's Grant and Sangeet Natak Akademi Award in India. In Canada he has received Toronto Arts Council; Ontario Arts Council; Laid law Foundation; Ministry of Culture, Citizenship and Recreation; The Canada Council for the Arts and Canada's Year of Asia Pacific grants. His four-day visit to Myanmar, the neighbour of his motherland, last month was his first and was really short. But he made good use of it by lecturing at a workshop on Indian and Myanmar classical dances at the Yangon University of Culture, learning Myanmar cultural and traditional dance and visiting Bagan, the archaeological treasure house of Myanmar. He said, "I loved Myanmar and I had the most interesting and culturally fulfilling experience. I was touched by the kindness of the people, the art and the ancient monuments in Yangon and Bagan. I found the classical dances beautiful, graceful and very well presented. I was very impressed by the discipline and the standard of the students of the University of Culture in Yangon. "I would love to come back to Myanmar, perhaps for a longer visit. I would very much like to present some of my dance creations. Also I would like to spend extended time with the dance students and the excellent faculty of the University of Culture." When he is not rehearsing, he is composing. When he is not touring, he is researching. Janak Khendry, artistic director of Toronto’s Janak Khendry Indian dance company, wishes a day had 48 hours so he could perform, choreograph, travel and teach without constantly racing against time. The veteran dancer, whose career spans more than five decades, will be touching down briefly in Calgary with his troupe to perform two of his works. 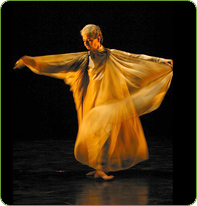 Khendry typically delves into difficult, esoteric subjects – some historical, others deeply spiritual – and for this performance he’ll be bringing Gayatri, his dance based on the sacred Gayatri mantra (a Vedic prayer to sharpen the intellect). Khendry says he has dreamed of dancing to Gayatri ever since he was a teenager living in Amritsar, India. At five, he learned the mantra from his mother, reciting it diligently without quite understanding its power or significance. Years passed, and Khendry finished his graduate studies in sculpture and art history at Ohio State University, but the idea of presenting Gayatri through dance still nudged him occasionally. However, giving creative shape to a 24-syllable mantra with no storyline was a bold, challenging venture – something no one had attempted before. It wasn’t until one day in Toronto, where he was working on The Life of Mahavira, a work about the founder of Jainism, that inspiration struck like a bolt of lightning. "I might sound old-fashioned," he says. "There is always a right time for things to happen. "When you’re dealing with works like the Gayatri, you have a serious responsibility to keep the sanctity," he adds, on the phone from his home in Toronto. To ensure factual accuracy, he hired a scholar who helped with the research. In the planning stages, Khendry debated whether the piece would be performed solo or as a group. His dilemma ended soon after when he came across a passage on Gayatri is Chaturanga, or its four limbs, and realized the work should be choreographed for four dancers. Once the research was complete and music recorded, Khendry listened to the score over and over again until it seeped into his psyche. Standing in his studio, he imagined he was in a temple. He extended his auspicious right arm to begin the ritual of paying obeisance to the Supreme. From there a stream of movements flowed in synchronization and the 73-minute piece was entirely built on right-hand choreography. In his choreography, Khendry dips into Bharatnatyam, Kathak and Manipuri, blending the South and North Indian styles to create a fusion unparalleled by others. 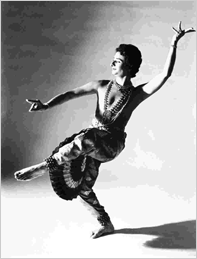 But some of his pieces also have traces of modern dance, reflecting his studies in Columbus, Ohio, where he learned the Graham, Limon and Cunningham modern-dance techniques. Every year, he choreographs two or three new works and revives old ones. While themes and music remain the same, dance routines change. Moods of the Rhythms, the other piece to be performed in Calgary, debuted about 10 years ago. After about 20 performances, it was shelved to make room for new productions until Music Gallery in Toronto recently invited the company to revive it. Khendry re-choreographed and presented the new version this past fall. Moods grew out of a simple question Khendry put to a friend: "Indian ragas (music themes or melodies) have moods and emotions, what about Indian talas (rhythms)?" Khendry picked basic rhythms of Bharatnatyam to depict a whole gamut of emotions – the three-rhythm Tisram for pathos, four-rhythm Caturasram for fear, five-rhythm Khandam for anger, seven-rhythm Mishram for love and nine-rhythm Sankirnam for laughter. Khendry says he’s always experimenting outside his comfort zone. Perhaps it’s the secret of his staying power. "I believe there are two ways an artist can progress," he says. "One is the horizontal way – you do what you do best and you keep doing it. There is nothing wrong there. As a creative artist, where do you take your art? You keep climbing. You slip, you fall. You keep climbing till you reach the top. That’s the vertical way and that’s the way I work." Choreographer Janak Khendry did the impossible with his beautiful show “Upanishad” which completed its run at Premiere Dance Theatre this weekend. He took the beloved last section of the Indian holy book the “Vedas”, and rendered it into movement. The Upanishads are questions and answers between a guru and student which gives direction to the path of enlightenment. Khendry’s combination of dance, music, narrative, costumes, lighting, video and computer animation was a mystical experience for the audience, as well as a stunning work of art. Amazing Khendry, 66, was both a dancer and the voice on the soundtrack. 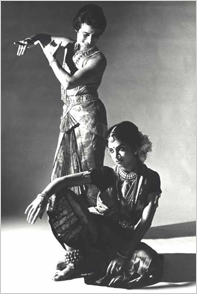 Ideas, worked through with Upanishadic scholar, Dr. Tulsi Das Sharma – were explained in voiceovers over composer Ashit Desai’s gorgeous, atmospheric music, which were then enacted out on stage in combination of Bharatanatyam influenced dance and hand gestures by the thirteen member company. Khendry also designed the costumes while Bradley A. Trenaman gave him a lighting design to die for. This work must be shown again.